Keep your pedals secure and organized with this big, eye-catching board. 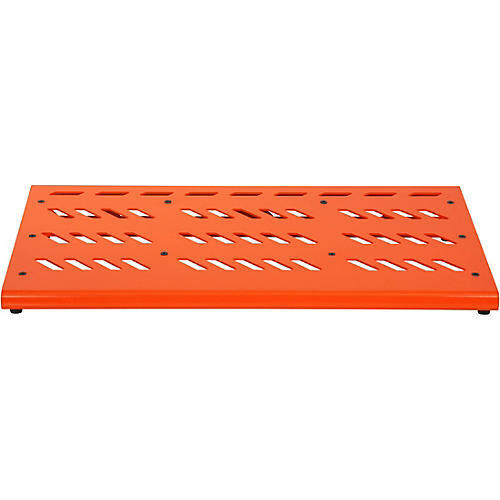 This Gator British orange extra large pedalboard features aluminum construction and intelligent design for maximum pedal access across the 32x17 in. surface area. It boasts two universal brackets for mounting power supplies under the board, large access holes for cable routing, no-slip rubber feet for stability and a heavy-duty nylon carrying case to keep your pedals safe between gigs.